Every year in the United States there are more than 350,000 home fires. 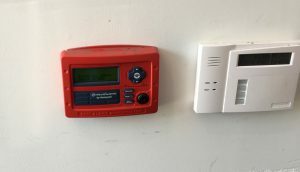 Our alarm systems will detect fires before they spread. Smoke alarms are crucial in protection and warn home owners of high heat or smoke levels. 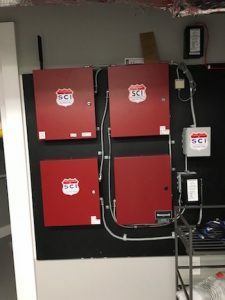 SCI does annual checkups as well as design builds to customize and install the correct system for your home or business. Carbon monoxide (CO) poses an invisible threat because it is an odorless, colorless, and tasteless gas. Any fuel-burning appliances or fixtures in a home can produce carbon monoxide. When inhaled a toxic compound forms that can poison anyone within a home. An appropriate emergency response is issued when the alarm sounds. For seniors who are living alone, injuries can mark the end of an independent lifestyle. Each year, one of three people over age 65 will fall this year. Don’t let fear of injury take away your freedom. 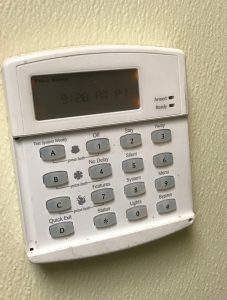 With the simple push of a button, a signal is sent to a monitoring station, which will alert the local emergency responders. Our service provides 24 hour medical monitoring and home health security without losing your independence.